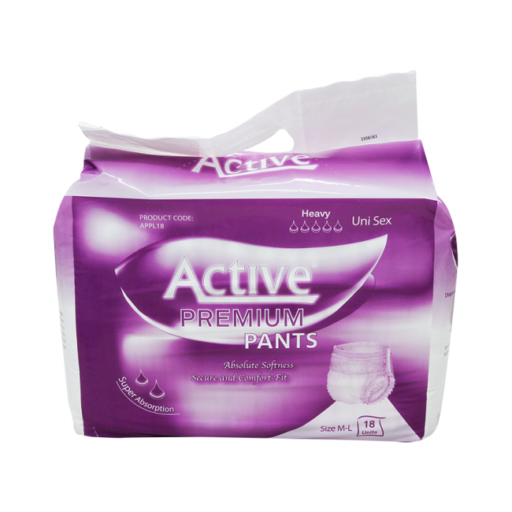 Active Pants offers a high level of absorbency at an unbeatable price. • Active Pants are the continence solution for day and night use. • Providing greater comfort with a cloth-like cover and protects from leakage with leg guards and a super absorbent inner.